Who do you see hauling your trash? As unlikely a job this is for a woman, it is truly a lot of fun. You are able to enjoy the outdoors as well as interact with customers who are so happy you are helping them out. Being out and about in the community is great. Also, this job is both physically and mentally challenging, which is very satisfying. You also know that you are making a difference in the world. We are doing this by not only offering dumpsters for hauling trash but recycling as well. Diverting waste from the landfill is not only a City of Fort Collins goal, but ours as well. We’ll talk a bit more in the future about zero waste and what that means for us and our community. As Dumpster Rental moves towards the future I will continue to work hard dropping off roll-off dumpsters for our customers. We will always offer great customer service with a smile. We continue our journey knowing there is a growing number of women working just as hard as I do, while having a great time making a positive impact on their community. 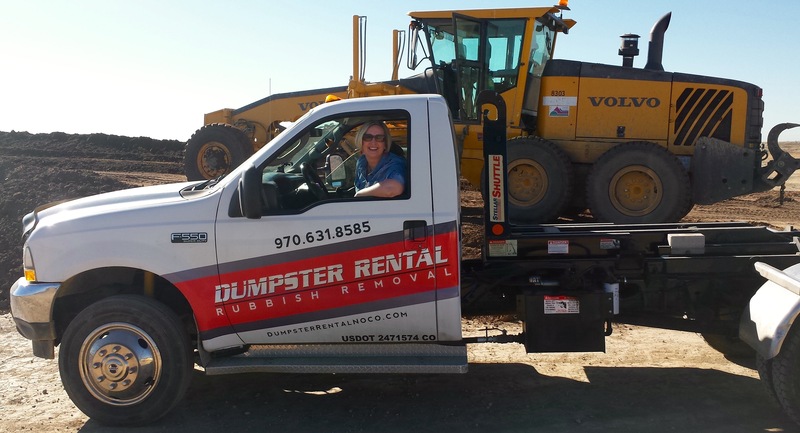 Who are the people behind dumpster rental and where do they come from? 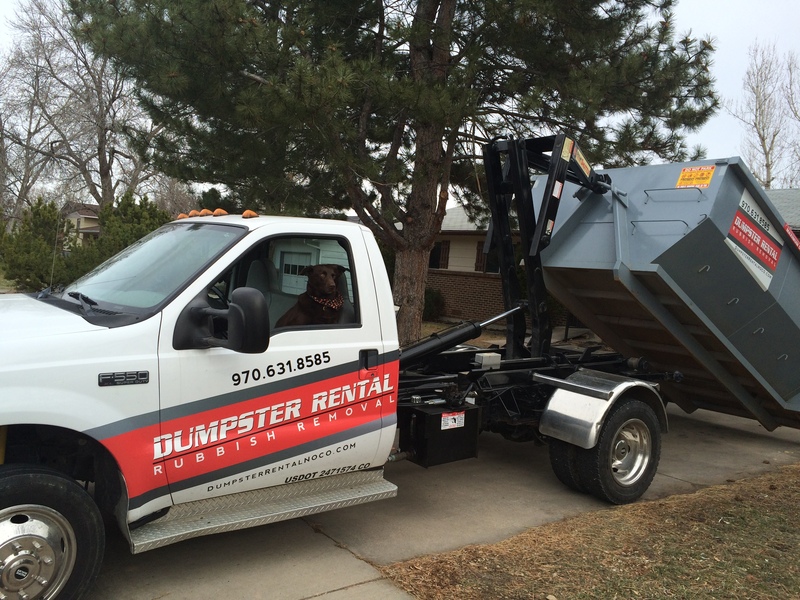 Dumpster Rental was started as a side hustle way back in the late 1980’s in Colorado Springs. We used an old trailer to help people with yard clean ups around their house. Then we started making our own dumpsters and in 2000 we made things official and created a corporation. In 2012 we decided to move to Fort Collins. So we started over again with new updated equipment and some hard work as a full time gig. Some unique facts about our business: We are owned and operated by a woman… Laurel comes from four generations of garbage men and is the first garbage woman in the family. We draw on those four generations of experience to offer you the best customer service around. 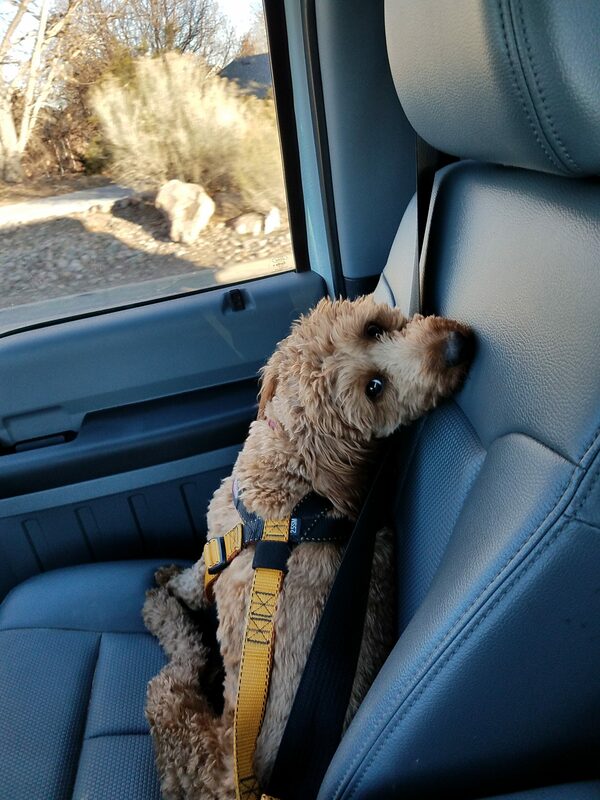 We have some pretty cute co-pilots that tag along most days, Patty and Duncan. Patty giving us the cute face. Duncan making sure we do things right! We are super happy to be in Fort Collins and helping people with their hauling needs in northern Colorado and really look forward to making new friends while we work.